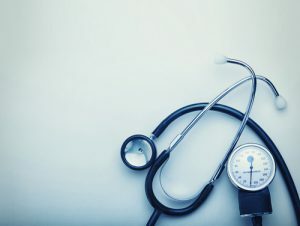 Medical malpractice is a claim against a medical professional for failing to perform his or her duties in the same manner as others in the same profession would do under the same or similar circumstances. When a doctor, nurse or other medical professional deviates from that standard of care, a claim can be brought for the injuries resulting from that treatment. Because jurors as laymen do not know what is the proper degree of care, medical malpractice claims require that the claimant present expert medical testimony by another doctor, nurse or like professional that what was done or not done was not standard in that field of practice and resulted in the claimant’s injury. This is often a very difficult matter to prove because doctors often do not agree among themselves as to the proper way to treat a given condition. Therefore, only a qualified lawyer can determine whether the evidence that can be obtained is enough to prove that the injury being claimed was a result of the healthcare provider’s negligence or was just a recognized risk of the procedure. If you believe that you may have been a harmed by a medical professional, please contact our team at A Russell Blank LLC. If a healthcare provider did not give sufficient care compared to a careful and reputable healthcare provider under similar circumstances, you may be able to acquire financial compensation. Russell is a medical malpractice attorney in Georgia that is committed to helping victims of medical malpractice recover for their losses. Russell offers professional and thorough legal services with care and compassion. If you’ve been hurt because of the medical treatment you have received, contact us to discuss your case. A. Russell Blank LLC providingPersonal Injury services in Snellville, Gwinnett County, Dekalb and Fulton, Georgia.